Open the page you’d like to add to your Question Pool. …add a name for your new Question Pool (this can be anything you like). 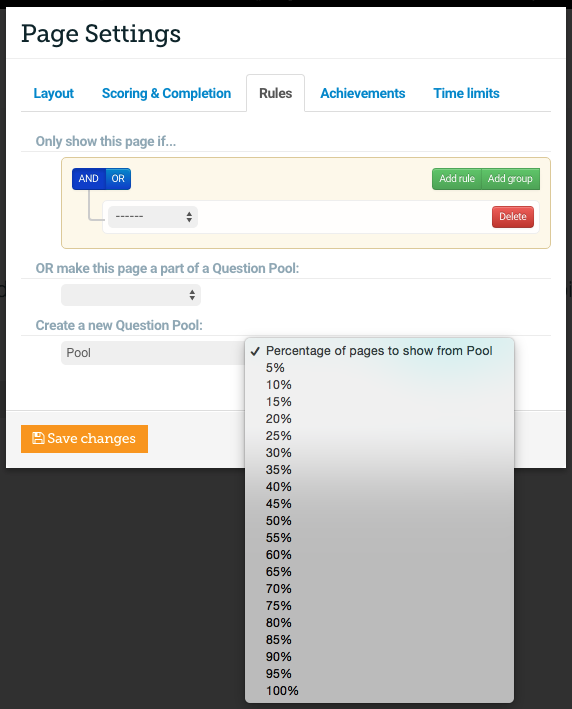 For instance if you have a pool of 10 questions and you select 10%, only 1 random question will be displayed. 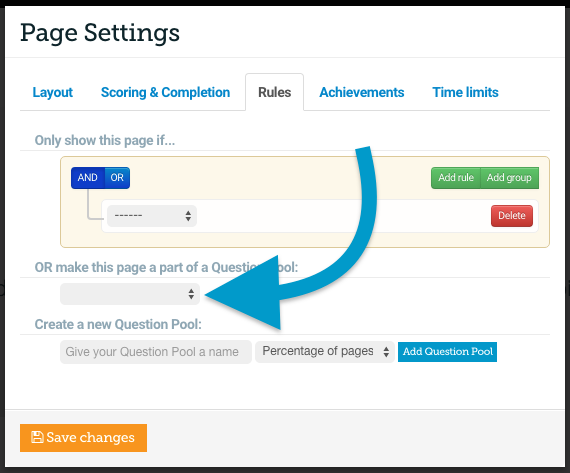 When you are happy, press ‘Add Question Pool’. 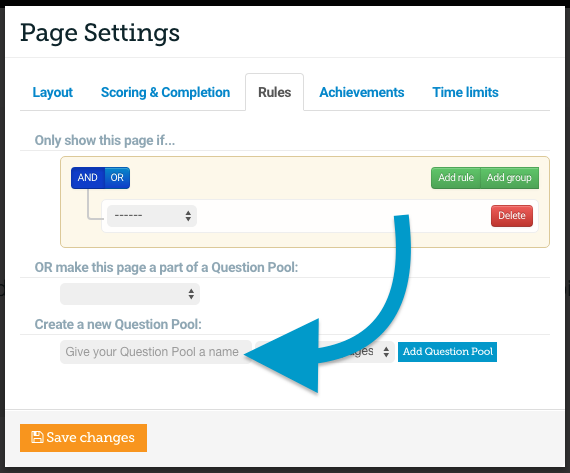 …repeat this last step (selecting your pool from the ‘Make this page a part of a Question Pool’ dropdown) for any other pages which you wish to add to the Question Pool. Please note: If a learner exits a course which has Question Pools and then re-opens the course, the Question Pool will re-shuffle. 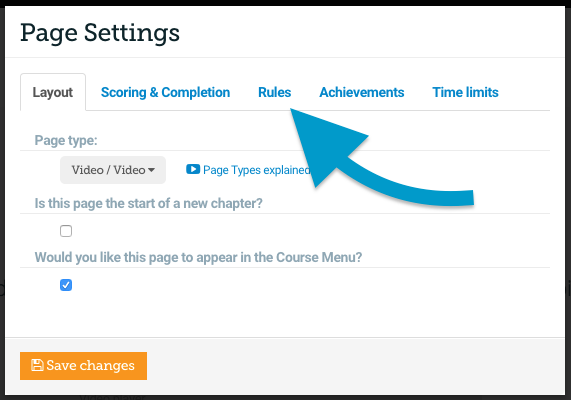 We recommend that you do not include the first page of your course in your question pool. For more information on best practice for Question Pools please see here.